We provide a comprehensive solution for the warehousing and fulfillment of POS materials, branded giveaway items and kitting projects. Our clients can seamlessly place orders online for shipment to promotional events. We provide competitive costs and work within budgets, providing an efficient method for the procurement and production of a wide variety of POS and collateral materials. We use our propriety software for online ordering and coordination of the pick & pack process. You can also see pictures, descriptions and inventory levels of your items in real time. 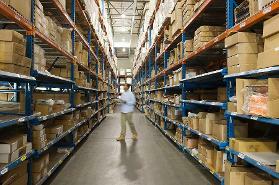 We are pleased to provide you with a turnkey solution for your fulfillment and warehouse point of sale needs. Working with tight deadlines is the norm for us, not the exception. We are dedicated to success for all parties involved.